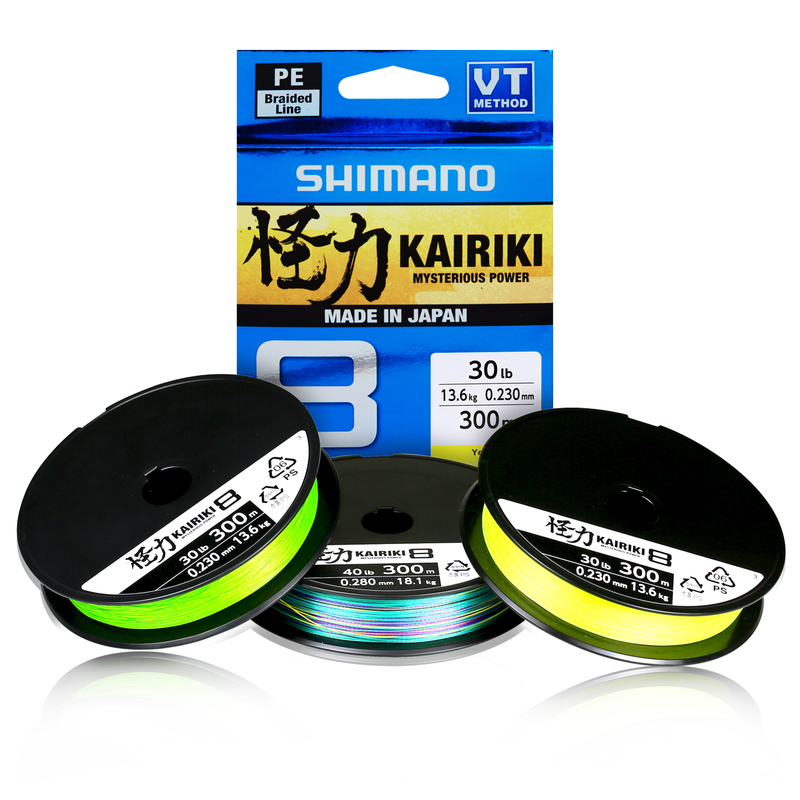 Re-introducing Kairiki 8 from Shimano, now adopting new “VT construction method” braiding technology. Featuring 8 carriers and incorporating premium Japanese manufacturing, the new tight weave VT construction is created through applying high tension at opposing directions during the braiding process. In the VT Construction Method, fibre is weaved evenly at all angles – resulting in a smoother finish, reduced diameter and a long cast. Additionally the smooth finish creates less friction through the guides, minimising cast noise and aids to a stealthier approach. 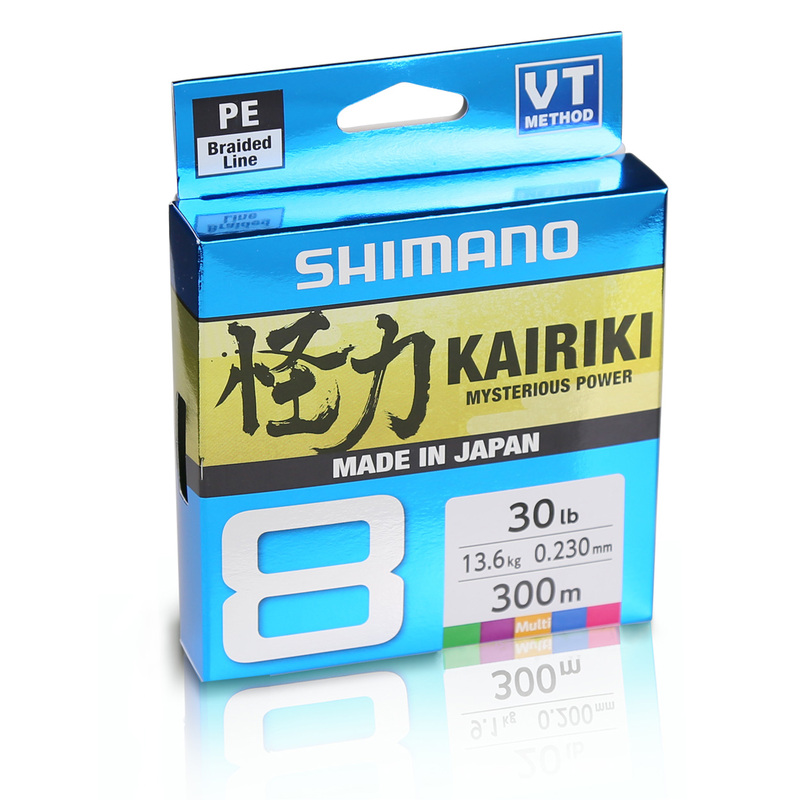 The tight weave achieves enhanced sensitivity, resulting in low stretch. 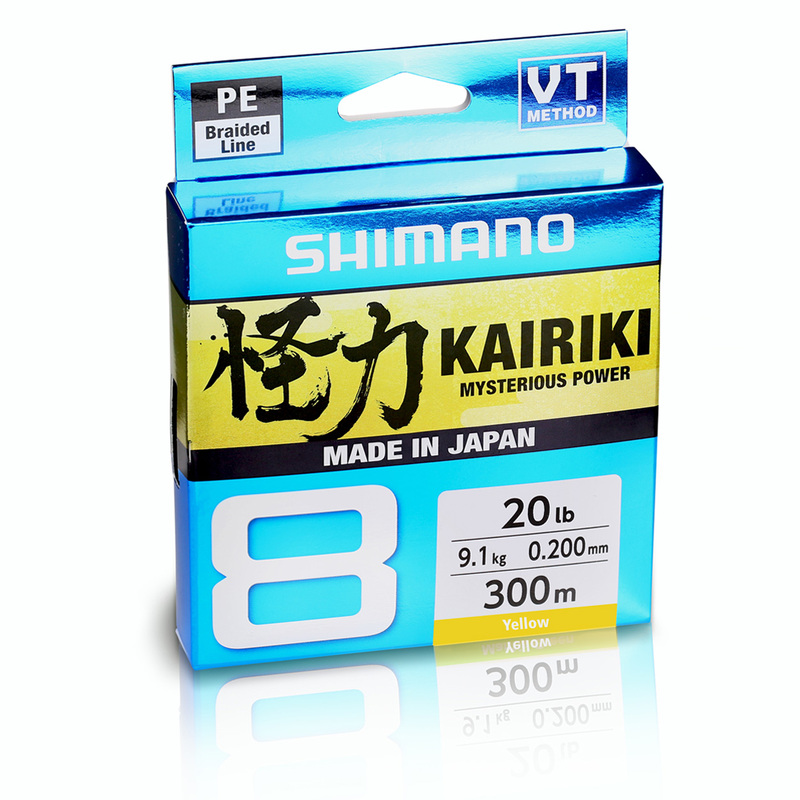 These attributes make Kairiki 8 an excellent choice for finesse fishing, casting lures and tying knots where smoothness, sensitivity and castability are all required to give that extra edge against your next encounter.